Lynn Cassidy was excited to see the pope, she had no idea that she would get a chance to see him up close. 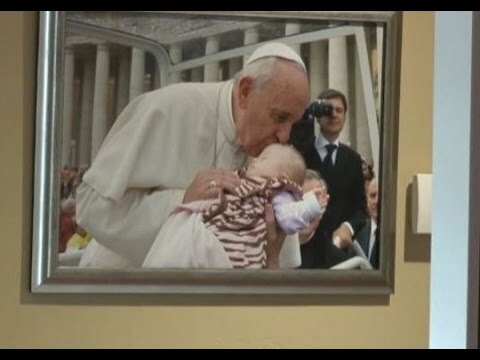 She believes that she and her baby were blessed to get the chance to meet Pope Francis. 3-month-old Ave sufferes from down syndrome and other complications such as two holes in her heart. Pope Francis’s bodyguards took her 3-month-old daughter and handed her to the Pope. Lynn described what happened next as a miracle.